Marie-Andrée Godin was born in Canada and she now lives in Finland. She shares her work time between Finland and in Canada. She completed an M.F.A. at Laval University, where she was granted several scholarships, including the Social Sciences and Humanities Research Council of Canada (Joseph-Armand Bombardier Fellowship). She was also recipient of working grants from Quebec City, Québec province art council (CALQ) Canada art council and the society for the development of cultural enterprise of Québec province (SODEC). Her work focuses on the figure of the witch as a feminist figure and explores the concepts of a-hierarchy, acts of manufacture, holistic thinking and knowledge as a source of power. She is now trying to see if magic, post-capitalism and diverse political forms or systems could be intertwined to help manifest the future. Her work is mainly based in the fields of installation and performance art and has been shown in Canada, the United States, Japan, Finland and Italy. 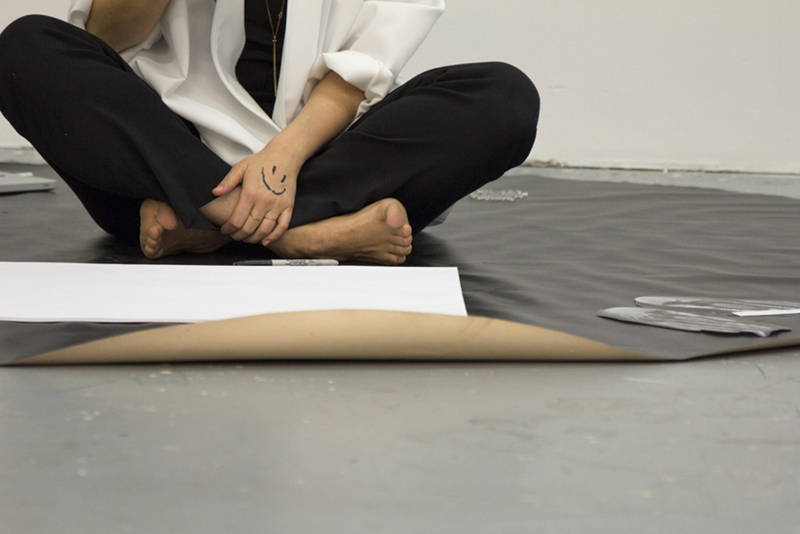 Through a process of both theoretical research and artistic creation, Marie-Andrée Godin wants to see how magic, postcapitalism and diverse political forms or systems can be intertwined through a feminist art practice to help us manifest a sustainable future. After having used the same method to investigate the witch as a feminist figure in her my previous research, and having discovered then how magic and witchcraft can be an empowering political tool and mean of action, she is now interested to pursue further her reasoning. What are the links tying magic and postcapitalism? Are we able to imagine an “exit” from capitalism and put it into action? Can we consider re-enchanting the world that capitalism needed to disenchant to achieve its aim? How can art, magic and politic be understood in the same way, as creative actions? What is the role of the artist in the implementation of a postcapitalist future? And what are the best artistic strategies to share those ideas through a feminist art practice? Can Postcapitalism be an entry point for speculative feminism? To try and answer those interrogations, she is creating a corpus of installative and performative pieces that act as places for sharing; spaces where the circulation of ideas regarding postcapitalism, post-work, post-patriarchy, housework wages, universal basic income, and magic as political actions are facilitated; spaces in which it is possible to discuss, mobilize or invent ourselves and our future. During her residency in Titanik, she is working on a sound based project she entitled Glossary – WWW³ (WORLD WIDE WEB / WILD WO.MEN WITCHES / WORLD WITHOUT WORK) where she attempt to build the soundtrack of a spoken glossary of many terms and concept that are relative to the theoretical framework(s) of her research.